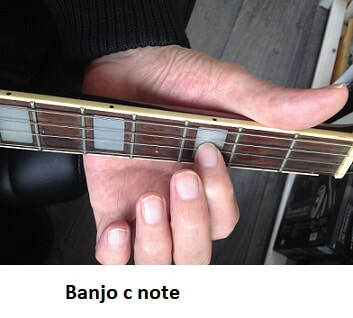 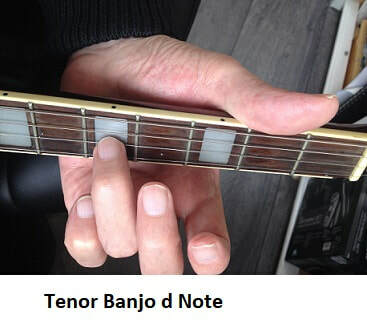 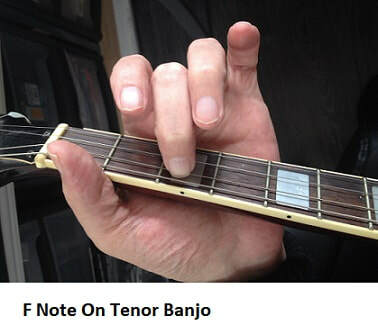 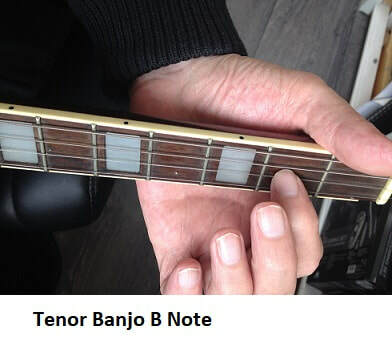 Below are pictures of the notes on the tenor banjo. 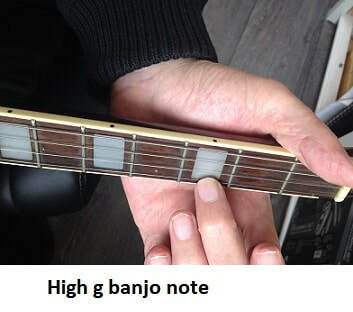 Most of these notes are used on the songs on this site. 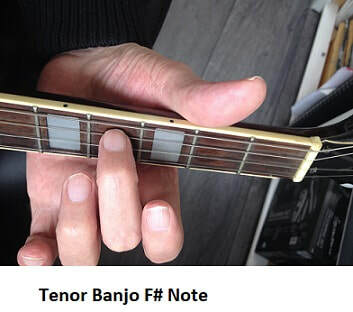 Some of them you'll only seldom use such as the F natural note, you'll be using the F# much more often than the F natural. 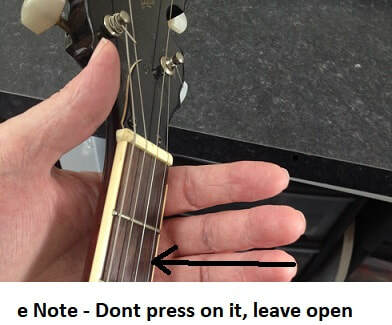 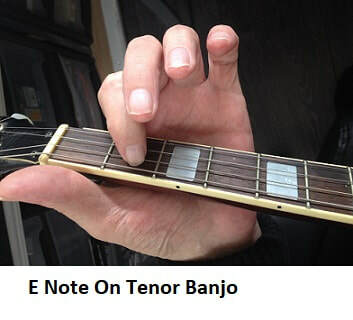 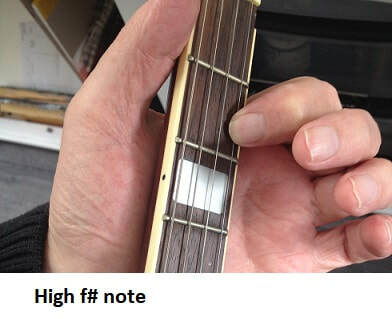 All the notes for the stuff on my site can be reached within the first 5 frets, well perhaps there'll be the odd one that goes up as far as the high b, but that will be seldom.